Have you tried using a CPAP machine, but it just hasn’t worked out?You’re not alone! Some studies have found that up to 50% of CPAP users quit using their machine. Here at Apnea Treatment Center, we hear every day from people who are frustrated with the many side effects of using CPAP. Luckily, there are many alternatives to CPAP, including a mouth guard. This is a small device that is easy to use. This oral appliance allows you to move freely while you sleep.But when it comes to picking the right sleep apnea mouth guard, things can get a bit confusing. There are so many different types available, and each one has different selling points. We recommend a mouth guard that is adjustable, or one that is fully-customizable so it will fit your mouth perfectly. In this article we cover our top 5 picks for mouth guards, along with the benefits of using one and possible side effects that you should consider. Let’s jump in to our best sleep apnea mouth guard picks! What Is the Best Mouth Guard for Sleep Apnea? We’ve chosen the SOVA Night Guard as the overall clear winner for several reasons. This guard provides a snug, secure fit that is one of the most effective on the market. It gives your jaw the extension it needs to keep airways clear and locks into place so you’ll be snore free all night long. This professional-quality mouth guard is custom made to fit you perfectly. You use the home impression kit, send it in, and your mouth guard is made specifically for the shape of your mouth. There is no additional cost for postage. You will receive a postage-paid envelope to send in your impression. You will receive a mouth guard that is both durable and comfortable. You can get an over-the-counter mouth guard to help with sleep apnea, or you can get one that is completely customizable so it is going to fit your mouth perfectly. The latter is what you will get when you choose this particular night guard. It is latex-free, as well as BPA-free, and comes with a one-year free replacement policy. You will also enjoy unlimited free adjustments to ensure that this mouth guard is the perfect fit for you so you can sleep better at night. This is a new design, and the manufacturer claims that it is the “most effective mouthpiece on the market”. It is precision auto-molded to your specific bite, and you don’t have to send it away to have it made. Simply boil it in water, bite down, and make the impression of your mouth that the mouth guard will mold perfectly to. This is going to give you a perfect fit in just a few minutes, and you can wear the mouth guard right away to start sleeping better at night. This device helps wearers to breathe better by increasing the amount of air flow through the nose. It has a bit of a suction around the tongue, so it won’t obstruct the airway and defeat the purpose of what it is meant to do, which is to help you breathe easier at night. This is a great mouth guard for anyone who has sleep apnea, and there is no molding required to get a great fit. It is made from medical grade, soft silicone, making it comfortable to wear for several hours at a time while you are sleeping. Sleep apnea is a sleep disorder that causes the sufferer to have interrupted sleep patterns due to their breathing. Sleep apnea is associated with the soft tissues found in the mouth and throat (this includes the tongue muscles.) Many sleep apnea sufferers can stop breathing up to hundreds of times each night. This means that they aren’t getting the proper sleep, which can lead to a number of problems, including irritability, fatigue during the day, and an inability to concentrate. There are two different types of sleep apnea, and both have different symptoms. 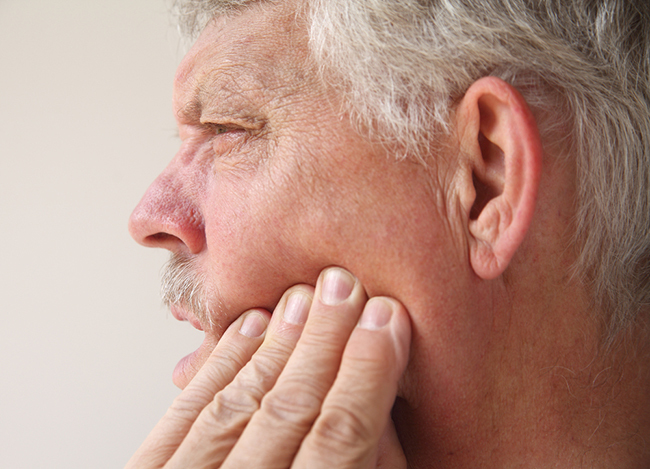 Obstructive sleep apnea (OSA) occurs when the airway is blocked. OSA ranges from mild to moderate. AHI numbers determine a mild to moderate sleep apnea. For instance, a moderate sleep apnea has AHI levels from 15 to 30. On the other hand, severe sleep apnea is at 30-40 AHI level. CCAP devices and other applicable oral appliances prevent the upper airway from collapsing and get rid of excess soft palate. 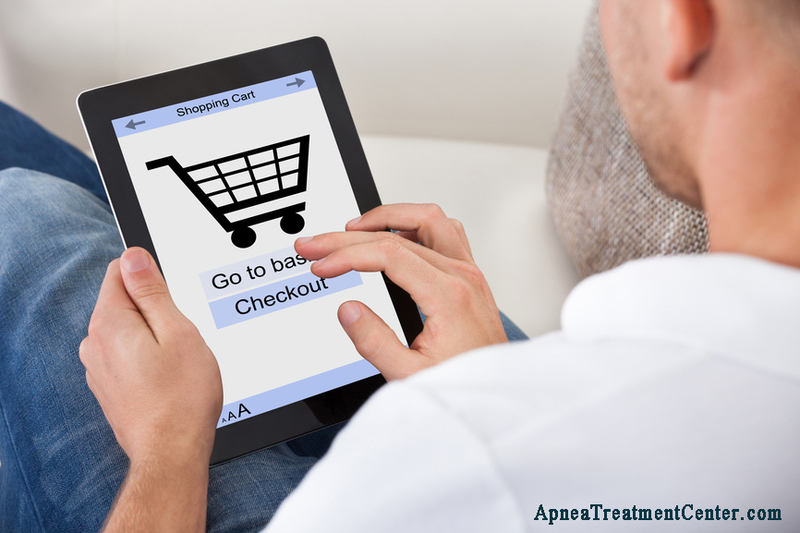 Aside from CCAP, positive airway pressure therapy is also used to treat sleep apnea. Positive airway pressure therapy is a usual treatment choice for patients with OSA. Another kind of treatment is the oral appliance therapy with the use of various dental appliances. Others take sleep medicine to treat mild sleep disorders. Central sleep apnea is a bit different. Breathing still stops, but it is not due to airway blockage. With this type of sleep apnea, the brain isn’t sending the proper signals to the breathing muscles. A recent sleep study on sleep apnea patients show that having a humidifier around can help the patients stick to their treatment. Since, patients with untreated sleep apnea experience excessive daytime sleepiness, heart failure and more, it is important for the treatment to be effective. A sleep apnea mouth guard is a lot like a mouth guard used to prevent snoring, but there are a few significant differences. Most sleep apnea mouth guards are fitted by a dental professional. Anti-snoring devices do not usually require any special fittings. But that isn’t to say that all sleep apnea mouth guards need to be fitted by a dentist. 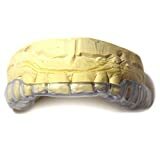 Some, like the ones we are discussing today, can either be molded using hot water, or are made with a dental impression that you make yourself and send back to the company to have your customized mouth guard made. A mouth guard made specifically for sleep apnea is known as a mandibular advancement device (MAD). These look a lot like a typical mouth guard. They snap right on top of the upper and lower teeth. The metal hinges allow the device to push the lower jaw somewhat forward, which helps to keep the airway open so you can breathe easier. When you get a mouth guard made by a dentist, the first step is to have an impression made. You can do the same thing when you get a home kit, and you can save a lot of money. The device is made directly from this impression, so it is made to fit your mouth perfectly. If you have had it made by a dentist, you will be required to make a follow-up visit to make sure that it is fitting properly. We have compiled the best sleep apnea mouth guard reviews to help you decide which of these oral appliances to buy. 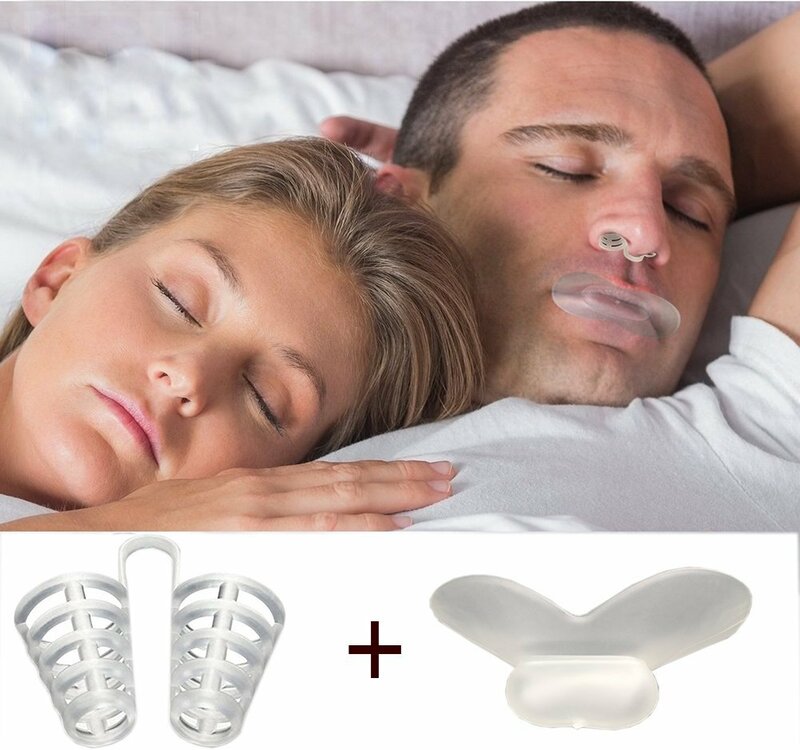 You could buy a sleep apnea mouth guard over the counter, but why would you want to do that when you can have one that is custom-made to fit your mouth perfectly? 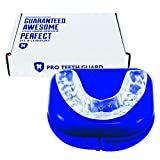 This mouth guard is made in a professional dental laboratory that has more than 10 years of experience when it comes to servicing dental professionals. You will get a mouth guard that will help you to breathe better, stop snoring, and sleep better all night long. This device comes with a 365 day, 100 percent money-back guarantee if you are not satisfied. This mouth guard is durable and comfortable, made with 3mm thick dual-laminate with a hard acrylic outer layer. If you need any adjustments to make the mouth guard more comfortable, they will be done free of charge. This is only for an upper or lower mouth guard, and is not a complete upper and lower set. Some users report that there is a chemical taste coming from the product when they use it. Some users have reported that the alignment isn’t perfect, but it can be adjusted at no cost if necessary. 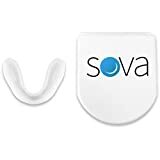 It seems to have mainly positive reviews, with most users being happy with the results they notice after using this mouth guard. It is easy to use, and it is also easy to make the impression using the mold and putty material. It takes about 6-10 business days to receive your custom sleep apnea mouth guard, and it is guaranteed for a full year if you are not completely satisfied. Not all mouth guards for sleep apnea are approved by dentists. This one is, and it is not only vinyl-free, it is also BPA-free. The newest and best technology and equipment is used to make sure that your mouth guard fits perfectly, and it is customized specifically for your mouth. This device is approved by dentists, and unlike mouth guards that you boil to fit to shape, this device is made from a mold of your mouth, so it will fit right and feel comfortable. You can make more than one mouth guard from a single mold. Fits snugly so it isn’t going to move around or fall out while you are sleeping. There is a 100% money back guarantee if you aren’t happy, and unlimited free adjustments. Some users have reported that this device tends to fit too snugly, and they need adjustments. Some users have noticed cracking in the device after using it for a few weeks. Some people have reported that the device doesn’t fit properly and falls out. It offers the same great fit that you would get if you had a mouth guard made by your dentist, but it comes at a fraction of the price. Three mouth trays are included, so you can get the fit that is the most comfortable. Making the mold is easy, and it only takes about five minutes to prepare the mold and have it ready to send off. Once the mold is received, your mouth guard will be made and shipped to you, and you will start sleeping better. This sleep apnea mouth guard has precision lock technology. This allows you to keep the mouth guard locked in place at the setting you prefer, which you can change whenever you need to. The measurement reading is clear and easy to calibrate, so you can always have the mouthpiece at the setting that works best for you. This is a new design, smaller than devices from other brands, so it fits better and feels more comfortable for use while sleeping. This device can be adjusted to just the right setting for your mouth and locks in place so it won’t move. Get the perfect fit with 10 incremental, 1mm adjustments so you can increase or decrease whenever you need to. This device is great for sleep apnea sufferers, as well as anyone who snores or has TMJ. There are companies that are selling counterfeit versions of this item. The only authorized dealer on Amazon for this product is RAMBUTEN. Some users report that this device does not fit properly, and that they experienced jaw pain after using it. Some users report that this device is quite bulky and not comfortable to wear overnight. It is easy to use, and it will mold to the exact shape of your mouth for total comfort. Some sleep apnea sufferers have reported that this is just the right device, because it pushes their lower jaw forward enough so they are able to breathe better while they are sleeping. Other users have reported that using this device has eliminated their snoring, so they, along with their partners, sleep better at night. While this mouth guard is designed to help people stop snoring, it is also effective for those who suffer from sleep apnea. It helps to increase the air flow through your nose, while not blocking off the airway through your mouth so you can breathe better at night, and ultimately sleep better and wake up feeling refreshed. Many users are so happy with this device that they say they are ordering spares to have if they need them. Made from soft silicone for comfort, without being too big and bulky. Nasal dilator is tested, and it is guaranteed to help keep the breathing passages open and increase air flow. This device is also ideal for anyone who clenches their jaws or grinds their teeth in their sleep. Some users have reported that this device doesn’t hold a seal, so it doesn’t stay in place well. Some users say that the nasal dilator doesn’t stay on very well. Some users report that the plastic used to make this device is low-quality and flimsy. 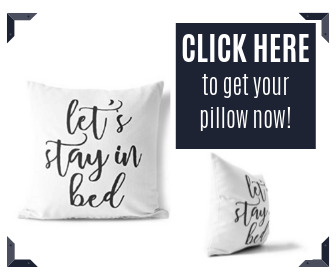 Don’t let the low score fool you, because this seems like a pretty good device for anyone who suffers from sleep apnea and other nighttime breathing disorders. Many mouth guards do not come with a nasal dilator. This extra piece will help you to breathe through your nose, which is going to eliminate a lot of sleep apnea issues, as well as snoring. It comes with one mouth piece, a pair of nose vents, one plastic hygiene case, and instructions on how to use it properly. Better Breathing – Because the airway will be open, you are going to be able to breathe better, which means an interrupted sleep. Reduced Snoring – If you snore, you and your partner will love this benefit. Being able to breathe properly is going to reduce or even eliminate snoring all together. Better Health – As mentioned earlier in this article, when sleep apnea isn’t treated, it can lead to a number of serious health issues. Using a mouth guard offers several health benefits. If you have been diagnosed with sleep apnea, you may be worried that you are going to have to use a bulky CPAP machine for the rest of your life. Many people find that they can do without a machine, as long as they have a mouth guard. Any of the products that we have discussed today should be able to help with your sleep apnea, and help you get the sleep you need to be more productive during the day, and avoid a lot of serious health issues. It is a good idea to talk to your doctor or dentist before using any sleep apnea treatment, to be sure that it is going to be the best option for you.